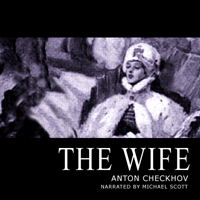 In this classic short story, Chekhov takes a snapshot of the Russian life, illuminating the harsh complexities and yet subtle simplicities that interact seamlessly together. The cold and gloom of the Russian environment cannot compare to the relationship that Pavel Andreitch, a rich aristocratic, has with his wife, who is no longer in love, or even tolerant of her husband, although helplessly reliant on his financial support. Their disintegrating relationship is set to the backdrop of the starving peasants of the lower classes, illuminating the perennial tension of an egotistical, self-centered man and the struggling goodness of a woman who cares about more than just herself.